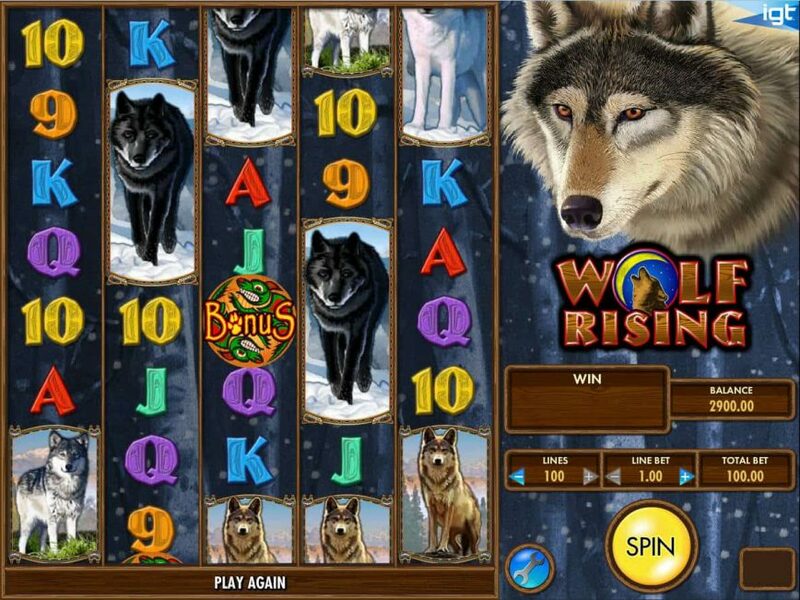 Taking inspiration from the success of games like Wolf Run and Wild Wolf Slot, IGT has introduced the Wolf Rising online slot machine. 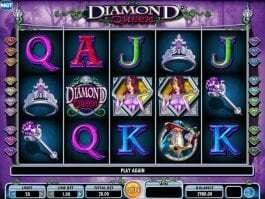 The slot features five-reels, eight rows and 100 paylines that make it easy for the players to bring winning combinations on the reels. The incredible eight rows of symbols mean the chances of hitting winning combinations are higher across the reels. You can also choose to play 1, 8, 25, 50, 75 or 100 lines. As the name suggests, the game is about wolves and you will encounter the wild creature in every level. There is a brief intro on what the game is all about and if you are not interested in it, you can simply skip it by pressing the continue button. The theme of the game is related to the world of wild wolves who roam in the chilly nights for hunting. The reels feature Grey Wolf, Black Wolf, Brown Wolf and White Wolf along with a bonus symbol. 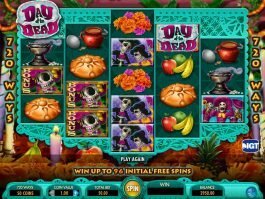 Apart from its interesting theme, the online casino slot comes with high-quality graphics. However, if your device is facing any problem with its graphics, you can change the graphics setup by clicking on the ‘Option’ button. The ‘Option’ button will enable you to improve the graphics quality for a flawless playing experience. You can adjust the coin value and the payline as per as your requirements and all line wins will pay from left to right direction. Line wins will be multiplied by your line bet. The symbol of s as the Wild as well as the Stacked Wild on the reels. 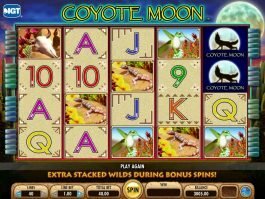 The Staked Wilds are the most valuable symbols in this slot game. By landing five of them you can secure the highest prize. Bonuses are not to be missed – especially if it is the free spin. At Least three of the Bonus symbols on reels 2,3 and 4, will enable you to enjoy the Free Spins Bonus round. Bringing three Bonus symbols anywhere on the centre three reels will award you five free spins. However, the possibilities of triggering those free spins are higher than with other games. The three central reels also include Stacked Wild symbols that are capable of increasing your chances to form bigger winning combinations. 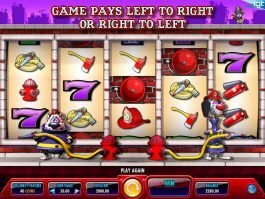 The Free Spins are retriggerable and if you are lucky enough, you can grab up to 255 Free Spins. 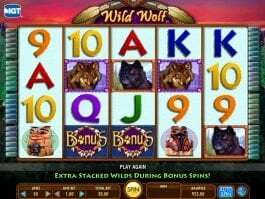 It doesn’t matter, whether you are a fan of Wolf-themed games or not, this online slot will make you happy with its quality graphic design, simple gameplay and most of all the lucrative features along with handsome payouts.